Here is a PDF Sewing pattern for The Traveller multi-pocket crossbody bag. You can make yourself this great travel bag which has a generous amount of storage space with lots of organizer pockets. 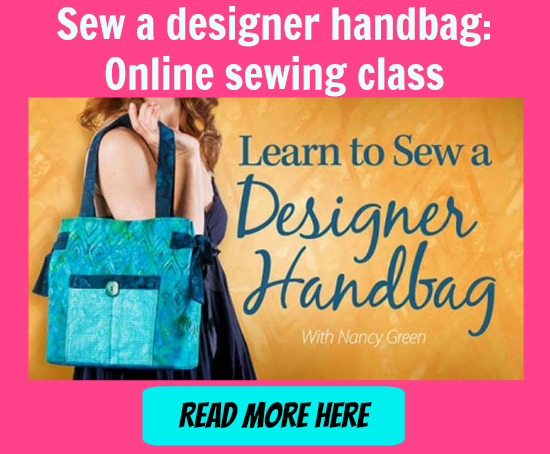 And while you are making the bag you may get to learn a new skill as the bag includes all types of pockets – zipped, jetted, patch, bellow – with instructions on how to sew each of the different styles of pockets. and a large interior compartment. The beautifully padded exterior with a top zip closure keeps everything safe and in its place. You have options regarding a strap for the bag as you can either make an adjustable bag strap or you can buy and add a leather strap. The Traveller crossbody bag can be made by an intermediate sewer and the bags approximate finished dimensions will be 10.6″ by 6.5″ by 2.0″.